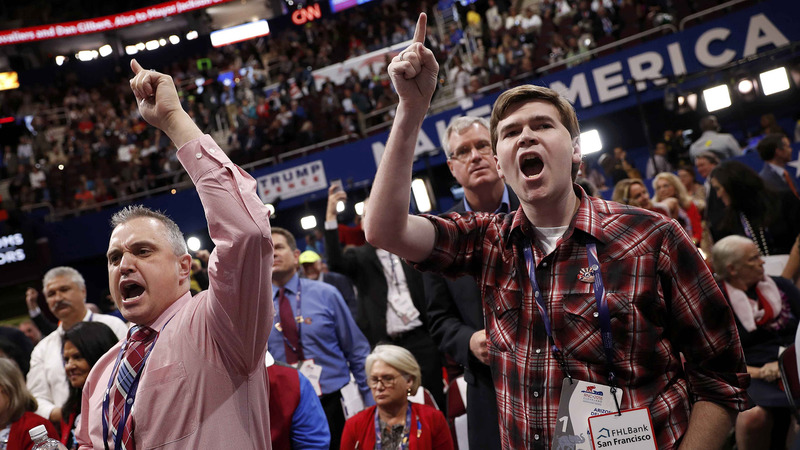 The 2016 Republican National Convention was made-for-reality-television drama of the first order: intrigue, conflict, innuendo, gossip, confessionals and tension, with all of the usual villains and heroes to keep everyone entertained and angry. This is Donald TRUMP’s contribution to American politics: the complete and final and total assimilation of reality TV into the political process. It’s been a long time coming, but now the dissolution of fact and fiction, real and imaginary are inextricably woven together into a perfectly seamless, blended entity: there is no any longer separation between that which is real and that which is not. In TRUMP’s world, all is part of the SHOW: every action, every turn, every gesture, every message, every mishap, every controversy transformed into a new episode in the continuing drama. Even the now infamous Ted Cruz non-endorsement, which ordinarily would thoroughly embarrass any controlled candidate, was in fact a brilliantly executed setup that would rival even Shakespeare’s most intricate plots. 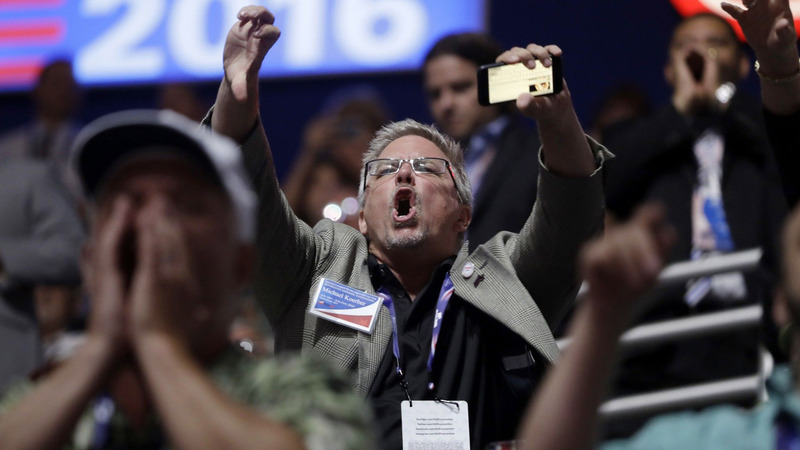 By inviting Cruz to speak during a peak moment of prime time just before the acceptance speech of the Vice-Presidential nominee, precisely timed for TRUMP’s grand entrance into the convention hall, the Star of the Show was able to step on the roaring finale of the Cruz speech in order to pump up the boos and amplify the confusion into a hysterical moment of Republican unity and mob expression. 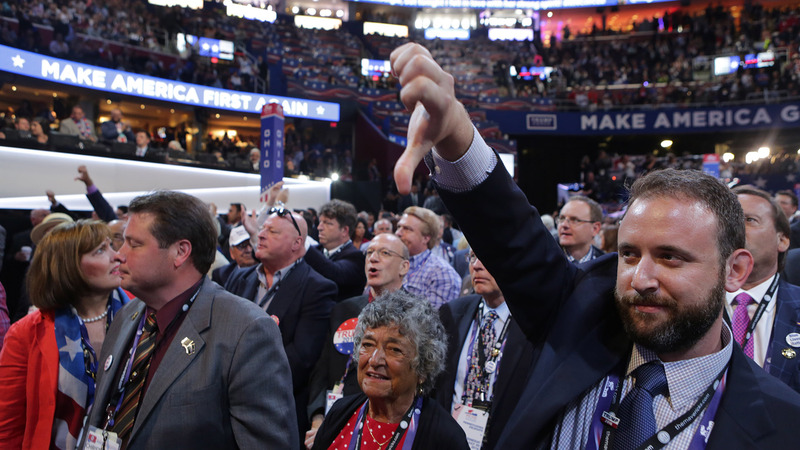 No doubt the vast majority of RNC delegates (and many of the politicians and celebrities who spoke) are the same people who have been feeding for years on Bravo TV-style reality television and the soaps, where content, complexity, and reason are reduced to base emotion, evil backstabbing, raw hatred, cunning, suspicion and the law of the jungle. 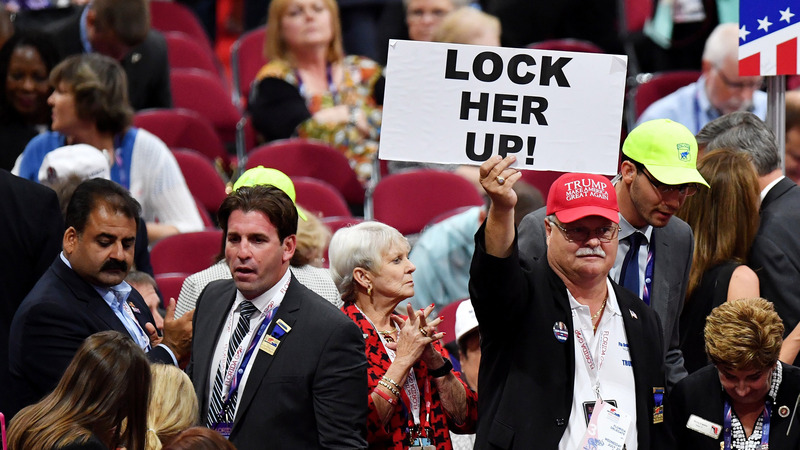 Take for example the delegate and ex-marine from New Hampshire calling for Hillary to be shot for treason; or Ben Carson’s reference to Hillary’s dance with Lucifer; or the woman who lost her son in the Benghazi attack and personally charged Hillary for murder; or Chris Christie’s prosecutorial indictment of Hillary driving the delegates to scream “guilty”: all intended to whip the crowd into a state of hysteria, a feeding frenzy, and a lust for blood that could very well spell the end of America’s sanity and survival should this sordid reality show turn into real reality in November. 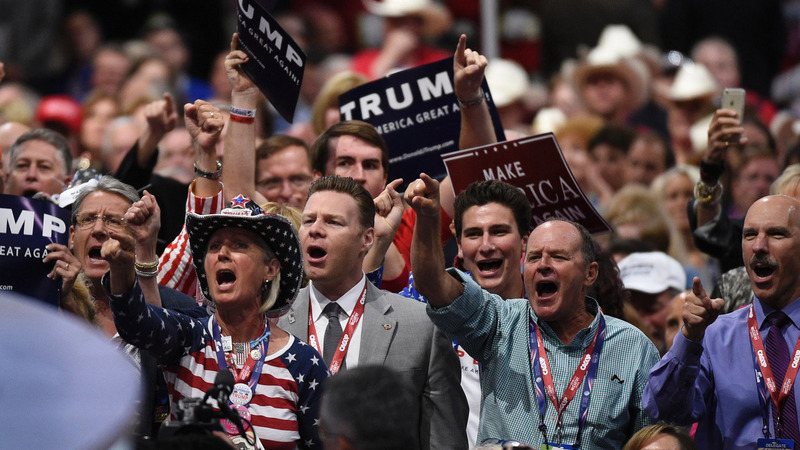 As dark as the RNC narrative has regressed, it will surely get darker. The TRUMP Show is nothing short of an apocalyptic “joyride” into a deep abyss such as we have never before seen in American politics. I never dreamed we could sink lower than the Bush years, but there is a mortal threat that has paralyzed the Republican base, powered by the antics of pop celebrity culture, and should it spread, should this disease of the real go beyond the base of racists and the hateful, we are indeed sunk. We will need much more than Hillary, perhaps a super-Obama to lift us out of the madness that is now gripping America. Let us hope that the TRUMP Show is cancelled by the people rather than its contract renewed for another season.